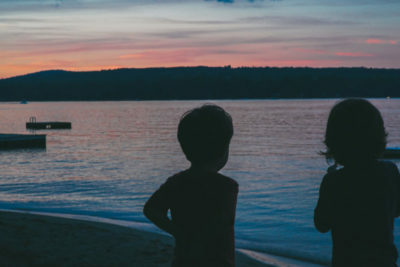 I’m posting a webinar we completed for the Vermont Family Network and the Stern Center for Language and Learning in March tackling a popular question – Is My Child’s Development on Track. It’s over an hour so you should find a lot of answers to your questions. Getting kids to try new foods is no simple feat. From neophobia (fear of new foods) to erratic appetites and asserting their independence, kids will find a reason to say, NO. Trying to change the routine of hearing your child say, “No, I don’t like that” or “I’m scared of green beans” entails introducing an improved replacement routine. 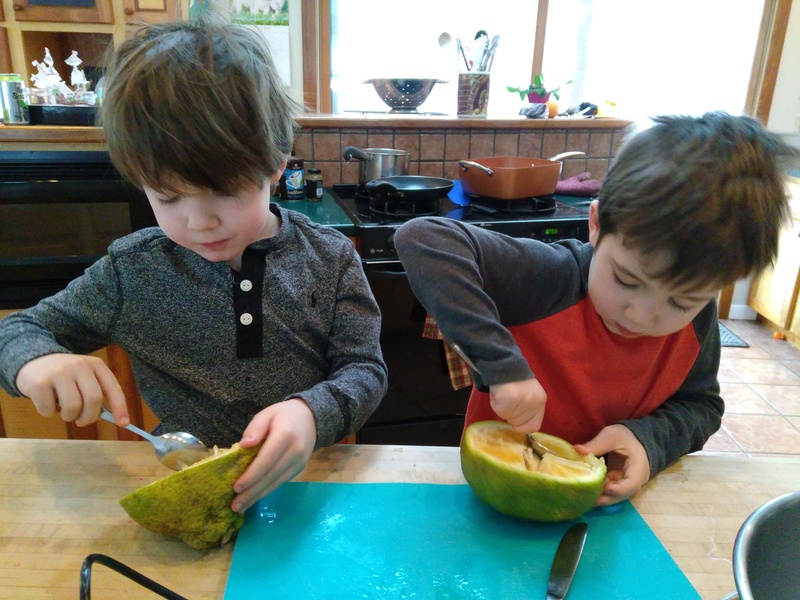 The practice of food exploration, without the expectation of actually eating, provides your child the opportunity to create neural pathways required to accept new varieties of food. In other words playing with food is learning how to eat. Afraid of wasting food? If you’re afraid of wasting food, then your demands are too high and you run the risk of overwhelming your child. Food exploration should involve a single food item or a minimal amount. Food exploration for younger babies and toddlers is known as developmental food play but as kids grow, food exploration needs to become more sophisticated. Here is an example of a food exploration routine we play on a weekly basis in our house. It keeps the neural pathways pruned for developing palates, as well as our own. We call it the MYSTERY FOOD GAME. 1. To play the Mystery Food Game, go to a market with an extensive produce section. 2. Have your kids pick a food they are unable to identify from the peripheral of the grocery store. 3. If your children are new to this game, establish that there is no expectation to eat it. 4. Take it home and google the food. Watch an intriguing video (thanks to youtube), and learn about the food. 5. Have your kids interact with the food by cutting, peeling, or opening. Whatever interaction opportunity the food presents on its own. The “Mystery Food Game” plays many roles in fostering a positive relationship with food for your kids. First, it empowers them to make the choice and be in control. They love and need both of those things when it comes to trying new food. Kids learn to shop the peripheral where all the nutrient dense foods live. In turn, kids receive more nutrition! Kids who don’t feel the pressure to eat are more relaxed, feel safer and are more willing to eat. Given time and repeated exposure kids learn how to eat through their senses. Learning to eat becomes a positive experience. When the expectations are lifted the stress goes with it. When kids feel relaxed, appetite increases. When kids feel stressed, appetite decreases. Learning about new food prepares them. Kids who interact with their food learn how to accept the new food through their senses. Hence, developing their neural pathways to accept a variety of flavors! If you’re reading this and thinking, my kid won’t get past step 2 of this game. You may want to check out TINY TASTES developed by Dr. Lucy Cook in the link below. TINY TASTES involves giving children a taste of a very small amount of a new or disliked food every day for up to 15 days in exchange for a sticker reward. Dr. Lucy Cook is a Chartered Psychologist and Child Feeding Specialist, her research focus has been on children’s eating behavior. Her principal area of interest is the development and modification of children’s eating habits with a particular focus on developing interventions to help parents of children with eating and feeding difficulties.